Did your tattoo seem attractive in your 20s but not so today? You are not alone! That change of heart, or feeling of regret, is the #1 reason why people seek laser tattoo removal. Fortunately, de-inking has progressed from a so-so, time-consuming and painful process to a much faster, safe and effective method. 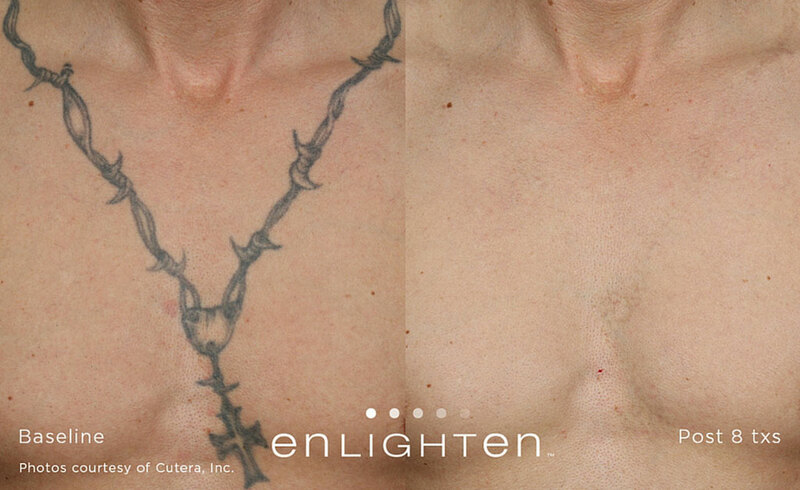 Finally, that unforgettable tattoo can become a thing of the past with the most advanced laser tattoo removal technology available in the market today — Cutera Enlighten™. Thanks to the revolutionary advancements in laser tattoo removal technology, Enlighten™ will quickly rid your unwanted memories. Is the most advanced laser system for the effective and safe removal of tattoos and benign pigmented lesions. 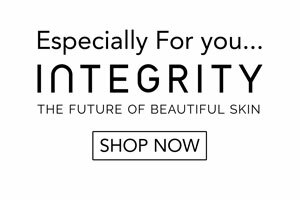 Enlighten™ features extremely short and high-power picosecond laser pulses. These pulses efficiently and quickly break down the ink particles in your tattoo. A ‘picosecond’ is one-trillionth of a second, and is 1,000 times shorter than the ‘nanosecond’ pulses used in existing lasers for tattoo removal. Picosecond laser pulses have been shown to remove tattoos more completely and in fewer treatment sessions than traditional laser used in the past. The total number of treatments vary depending on the composition, depth and the colour of the ink, as well as the size of the tattoo. You should be prepared for multiple treatment sessions, and your practitioner will give you a better idea of the total number of treatments needed during your consultation once your treatments begin. Tattoo ink is deposited deep in the skin. In order to reach all of the ink in the skin, multiple treatment sessions are needed for clearance. Depth, size and colour of the tattoo also impact the number of treatments needed. In many cases, yes. However, it is very important to know that some ink colours are more difficult to clear than others. Consult with your laser practitioner to determine if laser tattoo removal is right for you. Patients compare the procedure to a rubber band being snapped against their skin, or the sensation of electric rain. Ice packs or topical anaesthetics may be administered by your laser practitioner to minimise discomfort. Most patients experience redness and swelling immediately following the treatment. These side effects are temporary and part of the healing process. Patients may return to regular activities immediately following the treatment. Your laser practitioner will advise. How does Enlighten™ compare to other laser tattoo removal? The below image shows a split study of a tattoo. The right side of the tattoo was treated by a traditional tattoo removal laser and the left side was treated by enlighten. 6 weeks post treatment three, the side treated by Enlighten™ showed much more clearance over the side treated by the traditional laser tattoo removal method. Speak to our laser practitioners today! We love helping you achieve your tattoo removal goals.